What follows describes and briefly analyzes a potential scenario related to each of the contexts. We’ll then look at actions communicators can undertake in each situation to ensure the messages being sent and received are clear. Imagine that your company is cancelling the contract with a new supplier – the same supplier who was to provide new computers and equipment to departments that have been waiting for them for months – and it’s your job to notify everyone of the decision. You know that people will be unhappy: they will surely accuse you of all sorts of things and you will likely have to deal with unpleasant reactions over it for a long while. So you decide to send an email to explain what’s happening and then go for a long lunch in the hopes no one will be around to challenge you later. I can almost hear you saying, “I would NEVER do that!” BUT hiding behind an email instead of facing the issue is something that happens over and over in many companies I have worked with. The more comfortable we get with machines, digitalization and computers, the less comfortable we get with difficult conversations between real people. Let’s consider why hiding behind an email when you have bad news is a communication mistake and what can be done instead. Remember the two-way streets of communication? You have not communicated if you just send a memo and you certainly are arousing extreme dislike – even hatred toward yourself AND the company – by sending an email instead of talking to people. You look cowardly. You will lose credibility, authority and will have to deal with a deluge of backbiting, rumours, gossip and lowered productivity. And there’s a good chance that some employees will either overtly or discreetly sabotage work to “get back” at you. Why do people hide behind email instead of facing the music? There is no denying that it is unpleasant to have to communicate bad news and even more unpleasant to have to deal with people’s anger about it afterwards. But there are ways to be courageous while buffering yourself from potential fallout. Before communicating the news, think of something that will help soften the blow. For example, let employees know the reasons why the supplier was “fired” and what the problems would have been had you stayed with this supplier. Tell the employees that you will keep them in the loop so they know when the new supplier is found and when they can expect delivery and set up, and then follow through. After you have told them about the issue, ask for some suggestions about how to cope with the delay. Thank them for their help and for their understanding. This method of setting up a problem is called “priming the pump.” It means you prepare people for what you are going to say, show you believe in their capacity to act rationally, and set up your communication so that they are expecting to contribute to the solution rather than attack you for being the messenger of bad news. The result? Employees will respect you, they are likely not to get mad and if they do, it will be much reduced from what it could have been. Gossip and rumours will be nipped in the bud. And the bad news will be seen as a challenge for everyone to work together rather than something that was “done” to them. There is a new safety policy. Management puts up a notice on the company website or a poster on the wall, and maybe they send out one email. When most people have no clue what is going on when asked why they aren’t being compliant, upper management is completely surprised. Something similar might be if police set up a speed trap right after putting up a new speed limit sign. Every driver is caught and fined before they have even seen the sign. How do you feel about this practice? See it as unfair? Then you can see how employees may feel when they get notices from management that haven’t been put into a real communications plan and system. Think about using multiple channels for communicating a new message, especially something as significant as a new safety policy. Use in–person meetings both small and large, posters, newsletters, website, company boards, company Facebook – find as many communication venues as you can…even create more if what you need isn’t available. Put the message into a communications plan which starts with telling senior management, who tells the next level down, and then the next level and so forth. Capture feedback from each communication session by having one designate responsible to take notes and add to a common file for a management meeting later. This may seem like a lot of thought and effort, but the amount of wasted time and confusion when it is a one-way communication with no opportunity for input is significantly higher. Either you do it right the first time, or you spend a lot of time trying to fix your mistakes later. In addition, you earn great street cred by communicating in ways people feel included and where you respond to their interests, queries and concerns. Sales makes a decision and Production is furious because they can’t make the deadlines without having to put half their staff on weekend overtime for two months. Everyone is burnt out and sick after this marathon, then it starts again with the next order that hasn’t been properly thought out. Production thinks Sales are a bunch of stuck–up university grads who don’t know anything about what it takes to get “real” work done. And they suspect Sales is driven by the higher–ups to make more money so they can all have fatter salaries at the top. Sales thinks Production are just lazy…and round and round the finger-pointing goes. There always seem to be conflicts between certain departments or areas. One of the main reasons for this is because departments never talk to each other about what each actually does, so it’s difficult for people to understand how one decision from one department affects everyone else. There can be multiple misunderstandings, assumptions and stereotypes between groups who never see or interact with each other. Have quarterly meetings (or start with initial monthly gatherings) where a couple of departments get together and discuss a project they are both involved with. The meeting should be facilitated by someone neutral, and this person needs to get members of each group to describe how they see the job to be done and what they believe their responsibility to be. After each group has spoken, the facilitator asks if anyone learned something new from the other group and how that affects the way they see the project. Then the two groups work together to find a couple of ways they can improve their communications to meet the project goals more effectively. Make sure each group shows what they need and how things could go wrong if they don’t have what they need. Clarity in communication is possible – it’s achievable – when we plan ways to include the people, processes, and procedures that will help get information from the sender to the receiver. #1. Prime the pump – When delivering news that may not be received well, find ways to get others on board with the process and keep people informed of progress. Here it is best to communicate more, and not less. #2. 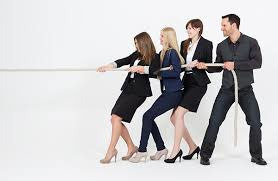 Use multiple channels – Any time you are announcing a change, use all the available means you have to share the requisite information REPEATEDLY. #3. Host multi-department meetings – Give employees a chance to see and hear what it takes for requests to be met and decisions enacted from the people affected. 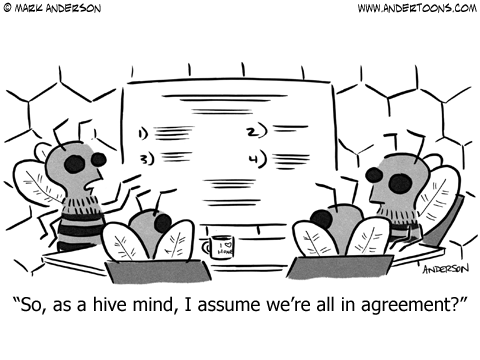 Let them team up to resolve differences and confusion so that they have greater ownership in meeting outcomes. Start with these strategies, then sit back and watch how magical it is when people start understanding each other instead of judging and assuming!